This section could almost be given the subtitle of “how a simple self-healing and spiritual development system ended up being presented to the world as a hands-on treatment technique”. 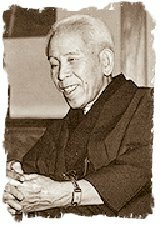 You can read below about the background to the development of the system, about what we know of Mikao Usui’s life, what he taught, how he taught, who he associated with, and how the system ended up being taught in the West: the history of Reiki. Mikao Usui grew up at a time when Japanese society and culture was going through a period of rapid change. It was not until the 1850s that Japan opened itself up to the Western world; for two centuries starting in 1641, all Europeans except the Dutch had been expelled from Japan. Those Chinese and Dutch that remained were confined in special trading centres in Nagasaki, and no Japanese were allowed to leave the country. Christianity was declared illegal and all Japanese were forced to register at Shinto temples. Those Japanese who refused to renounce Christianity were executed, and so were a few Christian missionaries who refused to leave the country. This ban on Christianity was not lifted until 1873. It was the United States that finally forced Japan to open its borders, and open its economy, to the outside world, and this event led to a great flood of new ideas and esoteric systems coming into Japan from all over the world. Not only that, but Japan underwent a period of rapid industrialisation, transforming itself from a feudal society into an industrialised nation – able to compete with the West on an equal footing – within a period of only 30-40 years. Such a period of rapid change created a real climate of ‘wanting to keep hold of traditional culture’. Japan was looking for a spiritual direction and people wanted to rekindle and maintain ancient traditions, while embracing the new. This is what Usui did when he developed Reiki. In the time when Usui was growing up, Japan was a melting pot of new ideas, with many new spiritual systems and healing techniques being developed. Reiki was one of these systems. Mikao Usui was born on August 15, 1865 in the village of ‘Taniai-mura’ (now called Miyama-cho) in the Yamagata district of Gifu prefecture, and he died on March 9, 1926 in Fukuyama. He had an interesting life. He grew up in a Tendai Buddhist family and had a sister and two brothers, one of whom studied medicine. As a child he entered a Tendai Buddhist monastery near Mt. Kurama (“Horse Saddle Mountain”). He would have studied ‘kiko’ (the Japanese version of Chi Kung) to an advanced level – and maybe practised projection healings – and he was exposed to martial arts too. From the age of 12 he trained in a martial art called Yagyu Ryu – Samurai swordsmanship – in which he attained the level of Menkyo Kaiden in his 20s, this being the highest licence of proficiency in weaponry and grappling. He continued training in the Arts and reached high levels in several other of the most ancient Japanese methods. He was renowned for his expertise and highly respected by other well-known martial artists of his time. In his younger life he experienced much adversity, lack of money, no security or regular employment. He seemed not to attach importance to material things and was regarded as something of an eccentric. He married, his wife’s name was Sadako, and they had a son (born 1907) and daughter. Usui followed a number of professions: public servant, office worker, industrialist, reporter, politician’s secretary, missionary, and supervisor of convicts. Usui was private secretary to Shimpei Goto, who was Secretary of the Railroad, Postmaster General, and Secretary of the Interior and State. The phrase ‘politician’s secretary’ can be taken as a euphemism for ‘bodyguard’! It is during his time in diplomatic service that he may have had the opportunity to travel to other countries. In 1868 (when Usui was 3) there was restoration of rule by Emperor, the Meiji Restoration. Mutsuhito reigned until 1912 and selected a new reign title – Meiji, which means enlightened rule – to mark a new beginning in Japanese history. It is known that Usui travelled to China, America and Europe several times to learn and study Western ways, and this practice was encouraged in the Meiji era. At some point Usui became for a while a Tendai Buddhist Monk, or Priest, (maybe what we in the west call a lay priest) but still having his own home, not living in the temple. This is called a ‘Zaike’ in Japanese: a priest possessing a home. Usui Sensei was interested in a great many things and seems to have studied voraciously. His memorial states that he was a talented hard working student, he liked to read and his knowledge of medicine, psychology, fortune telling and theology of religions around the world, including the Kyoten (Buddhist Bible) was vast. There was a large University library in Kyoto, and Japanese sources believe that he would have done most of his research there, where sacred texts from all over the world would have been held. He studied traditional Chinese medicine and Western medicine, numerology and astrology, and psychic and clairvoyant development. Usui also took Zen Buddhist training in 1922 for about three years. Many different spiritualist/healing groups were in existence at the time, and one of these – attended by Usui – was ‘Rei Jyutsu Kai’. Today this organisation consists of the most spiritual monks and nuns in Japan, psychics and clairvoyants. Usui’s system was rooted in Tendai Buddhism and Shintoism. Tendai Buddhism (a form of mystical Buddhism) provided spiritual teachings, and Shintoism contributed methods of controlling and working with the energies. The system was based on living and practising the Mikao Usui’s spiritual principles; that was the hub of the whole thing. Usui had a strong background in both kiko (energy cultivation) and a martial art with a strong Zen flavour (Yagyu Shinkage Ryu). Usui also took Soto Zen training with Kanazawa, mentioned in the book “Crooked Cucumber” (biography of Shunryu Suzuki, a Zen Buddhist monk partly responsible for introducing Zen Buddhism to America) – Kanazawa was a close friend. Japanese people followed several paths at a time, so Usui can have been a Tendai Buddhist but followed Soto Zen for a while. These studies may have contributed in some way to the system that he developed, and there also seems to be a strong connection between Usui’s system and Shugendo (mountain asceticism). Shugendo was a blend of pre-Buddhist folk traditions of Sangaku Shinko and Shinto, Tantric Buddhism, Chinese Yin-Yang magic and Taoism. Interestingly, Usui Sensei’s precepts are his rewording of a set of precepts used in a Tendai sect of Shugendo and which can be traced back as far as the early 9th century. During his life, Usui associated with many men and women of very high spiritual values. Some were famous people in Japan, for example Morihei Ueshiba (founder of Aikido), Onasiburo Deguchi (founder of Omoto religion) and Toshihiro Eguchi (founded his own religion and was a good friend of Usui). There are even connections between Usui and Mokichi Okada, the founder of Johrei, and there are also connections between Usui and Jigoro Kano (founder of Judo) though Kano was not a significant member of the group. Usui Sensei was a big man, physically big and extremely powerful, but quiet in manner. He had powerful personality and his presence would fill a room or a space. That got him respect. He was kind and compassionate, though he was also impatient with people who were abusing others or their beliefs or ideas. He could be very outspoken, apparently, and controversial: a bit of a “loose cannon”. He followed his own path regardless, and his friends would often be concerned about his welfare. His answer to them would be ‘just for today do not worry’. Usui Sensei did not suffer fools gladly, and could be quite abrasive at times. He could become righteously angry and quite impatient, particularly with people who wanted results but were not prepared to work for them. But what prompted Usui to pursue all these studies? Well, according to Hiroshi Doi, a member of the Usui Reiki Ryoho Gakkai in Japan (see later), Mikao Usui was wondering what the ultimate purpose of life was, and set out to try to understand this. After some time he finally experienced an enlightenment: the ultimate life purpose was ‘Anshin Rytsu Mei’ – the state of your mind being totally in peace, knowing what to do with your life, being bothered by nothing. Doi says that with this revelation, Usui researched harder, for 3 years, trying to achieve this goal. Finally, he turned to a Zen master for advice on how to attain this life purpose. The master replied “If you want to know; die!” Usui-sensei lost hope at this and thought, “My life is over”. He then went to Mt. Kurama and decided to fast until he died. So it seems that – according to Hiroshi Doi anyway – Usui was looking for a way of knowing one’s life’s purpose and to be content, and despite all his exhaustive research, he could not find a way to achieve this state. The monk’s advice prompted him to go to Mount Kurama and to carry out a 21-day meditation and fast. We now know that Usui Sensei carried out a meditation called ‘The Lotus Repentance’, which comes from Tendai Buddhism. Usui carried out the meditation and, according to his memorial stone, he experienced an enlightenment or ‘satori’ that led to the development of Reiki. But this does not seem to have the ring of truth to it, because he performed this meditation five times during his lifetime, and Usui’s system wasn’t something new that came to him in a flash of inspiration, but a system that was rooted in many existing traditions. In fact, Usui was already teaching his system long before he carried out the meditation. Originally, Usui’s system did not have a name, though he referred to it as a ‘Method to Achieve Personal Perfection’. His students seem to have referred to the system as ‘Usui Do’ or ‘Usui Teate’ (Usui hand-application). The name ‘Reiki’ came later, perhaps first used by the founders of the ‘Gakkai. Mount Kurama, where Usui carried out one of his meditations, is a holy mountain. It is near Kyoto, the former capital of Japan, a place which I heard described on a recent television travel programme as being ‘the spiritual heart of Japan’ – a place with a thousand temples representing a whole range of deities. Mount Kurama is also important from a martial arts perspective, being the place where mountain spirits – Tengu – are said to have given the secrets of fighting to the Samurai. 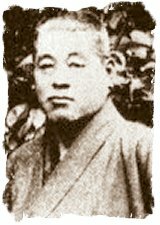 Morihei Usheiba, founder of Aikido, often took students to the mystical Shojobo Valley to train. According to Usui’s Memorial stone, Usui was a very well-known and popular healer, and he taught nearly 2,000 students all over Japan, but this should be taken as just meaning a large number, maybe 1,000 or more though. All of his students started out being treated by him. Usui would give them empowerments so that they were connected to Reiki permanently, so they could treat themselves in-between appointments with him, and if they wanted to take things further then they could begin an open-ended programme of training in his system. His teachings were very popular amongst the older generation, who saw them as a return to older spiritual practices; Usui was teaching at a time of great change for the Japanese people. In April 1922 Mikao Usui opened his first ‘Seat of Learning’ in Harajuku, Tokyo, and he used a small manual which had come into use about 1920. It did not contain any hand positions for healing others: it contained the Precepts, Meditations and Waka poetry. Of the people that he taught, 50-70 went on to the first level of Second Degree, and maybe 30 went on to the second level of Second Degree. Usui trained 17 people to Shinpiden level. There were 5 Buddhist nuns, 3 Naval Officers, and nine other men, including Eguchi who was said to have been Usui’s main friend/student. Eguchi later formed his own religion called Tenohira-Ryouchi-Kenyuka, which was Shinto revivalism, getting back to the early Shamanic roots. Even to this day in Japan there is a spiritual community on Hokkaido – called “ITTOE” – which carries on Eguchi’s tradition, and where they carry out a simple hands-on treatment technique based on the use of intuition, and carry out simple initiations. Usui’s teachings were what is called a ‘Ronin’ (leaderless) method. This was to make sure that no one person could lay claim to them and they would be freely available for all who wanted to learn them. So Usui Sensei left no heir in terms of his spiritual teachings; no provision was made for the continuation of this. It would have been more usual for Usui to have kept his system as an Usui family method, rather than passing it on to outsiders. Usui Sensei did not only practise and teach his Spiritual Teachings in his school but he also gave healing. He became very well known for his healing skills and his fame spread very quickly throughout Japan. In 1923 the Kanto earthquake struck 50 miles from Tokyo, destroying Tokyo and Yokohama. An estimated 140,000 people died from the ‘quake or the fires that followed it. This was the greatest natural disaster in Japanese history, and Usui gave many treatments to victims. The Usui Memorial says that Usui Sensei “reached out his hands of love to suffering people”, and in recognition of his services to the people during this emergency he was awarded an honorary Doctorate. It is when he was giving healings at a Naval base that he met a group of Imperial Officers, who became students, including the man who would be responsible for allowing Reiki to come to the West. Mikao Usui died from a stroke in a town called Fukuyama in Hiroshima in 1926. He had been a Tendai Buddhist all his life, and there has been some speculation as to why he was buried in a Pure Land Buddhist cemetery, but this is not significant: there was no Tendai Buddhist cemetery nearby and the Pure Land cemetery was the next best bet. There are a lot of Tendai teachings in Pure Land Buddhism. Our First and Second Degree and Master courses are about half way into the Mystery teachings, apparently. Students would go to Usui Sensei’s home. He taught from home. They would spend 1-2 days with him and then went away to do the work. They would record their thoughts, feelings and insights in a notebook and then this was reviewed with him when they went to see him again, or when he was available. He would deal with their queries and their questions. It seems that Usui’s fame as a healer had spread as far as the Japanese military – there were about 30 famous healers in Japan in Usui’s time, and he was one of them. He had been approached by them to teach a simple hands-on healing system that could be used by Imperial Officers as a sort of ‘energy paramedic’ system. There was a dire shortage of medically trained personnel in the Military (one Doctor for 5,000 ratings), and they needed some system that could be used to tide people over while they awaited medical attention. This led Usui Sensei to teach the Imperial Officers a method that was focused on the treating of others rather than working on the self – meeting their specific needs – and the symbols were introduced jointly by Usui Sensei and Eguchi as a quick way of depicting the energies. In fact, Eguchi played a significant role in the development of this system. The Imperial Officers simply did not have the time to get to grips with the energies in the way that Usui had been using with his other students: using meditations or chanting sacred sounds over a long period of time. So the “Reiki” treatment system was probably first taught in about 1923, though Usui’s spiritual teachings were being passed on as early as 1915. The ‘Navy’ system that Usui put together was actually implemented, and there are 1930s Japanese Defence Manuals that detail the “Reiki” system depicted by the Usui Reiki Ryoho Gakkai. So we can see that the “Reiki” treatment system taught to the Imperial Officers did not represent an evolution of Usui Sensei’s system in the last few years of his life: rather he put together an ad-hoc system to meet the needs of a group of people who approached him for a particular purpose. The Imperial Naval Officers were Jusaburo Gyuda/Ushida, Ichi Taketomi and Chujiro Hayashi. It was certainly surprising to Usui’s students that Usui would teach such people as Officers of the Imperial Navy. Indeed, it seems that there was some ‘resistance’ to this taking place, and Usui’s friends were upset that he would teach his spiritual system to military men. But Usui had been doing some healing at a naval base, and it seems that there was some metaphorical ‘arm twisting’ that led to the officers being taught by Usui. In terms of “treatment techniques” we do not know what Usui taught to the Imperial Officers. The various methods used in the ‘Gakkai may have been taught to the Imperial Officers by Usui, they may have been hinted at, but what we can say is that symbols were introduced and taught to the Imperial Officers as a way of depicting a particular aspect of the energy, and the energies/symbols are likely to have been used in a simple way when treating others. The complicated system of mixing symbols and symbol ‘sandwiches’ that are used in the world of Western Reiki is a very un-Japanese approach. Dr Hayashi, like the other Imperial Officers, does not seem to have been interested in the ‘spiritual path’ aspects of Usui’s system. He was a Christian, apparently, and he was fascinated by the treatment possibilities of Usui’s system. This led him to put together a healing guide containing various sequences of hand positions that could be used to treat a wide range of specific medical conditions. This guide was included in materials given to students of the Usui Reiki Ryoho Gakkai, and has been published as “Dr Usui’s Handbook”, though it was in fact the work of Dr Hayashi. Chujiro Hayashi was born in 1878. He graduated from Naval School in 1902 and by the time he was doing his Master training with Usui Sensei in 1925 he was 47 years old, a former Captain in the Imperial Navy, and he was a Naval Doctor. He and the other Naval Officers Ushida and Taketomi were the last people to be taught by Usui. It seems that Hayashi was one of Usui’s less experienced Master students since he may have trained with Usui for only 9 months. When you reached Master level with Usui, this represented the commencement of a long period of training which culminated in learning the connection rituals, and considering that other students of Usui spent 9 months meditating on only one energy at second-degree level, Dr Hayashi cannot have learned the inner teachings of Reiki in such a short space of time, nor reached the higher levels of Mastership. Together with the other naval officers, Dr Hayashi was a founder member of the Usui Reiki Ryoho Gakkai, a ‘memorial society’ set up after Usui’s death. The ‘Gakkai was described by Tatsumi (one of Hayashi’s Master students), rather disparagingly, as an ‘officer’s club’. 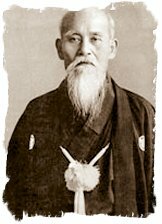 Although he was one of the founding members of the ‘Gakkai, he left, it seems, because the nationalism displayed by the other officers conflicted with his Christian beliefs and went against Usui’s teachings, and because of the many changes that the other Imperial Officers were introducing into the system, for example the introduction of many kiko (Japanese QiGong) techniques. But Hayashi changed things too, as we’ll discover shortly. After he completed his training, Hayashi opened a clinic with eight beds and 16 healers working there, and clients were treated by two or more people. He kept detailed records of the treatments that were given, and used this information to create ‘standard’ hand positions for different ailments which ended up being published in the training manual given to the Gakkai’s students (the Usui Reiki Hikkei). In fact this work had already been started when Usui was alive, and it seems that Dr Hayashi was carrying out the research with Usui’s knowledge and approval. Usui was interested to see if his spiritual system would ‘stand alone’ as a healing system. This guide to ‘hand positions for different ailments’ is very much trying to mould Reiki into the ‘medical model’, where you diagnose a particular ailment and then ‘prescribe’ a particular set of hand positions to deal with it, very different from Usui’s simple and intuitive approach. Despite this research, though, Hayashi still expected his students to be able to use scanning or intuitive techniques to work out their hand positions, with his ‘standard’ positions as a fallback position. Dr Hayashi founded his own society in 1931, five years after Usui died. It was called Hayashi Reiki Kenyu-kai, which means Hayashi Reiki Research Centre. 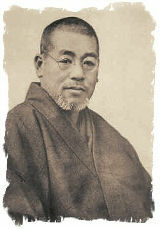 Since Dr Hayashi had made some changes to the system he had been taught by Usui, he was honour bound to change the name of the system, but the changes that he introduced were not popular: some of his senior students left the school, including Tatsumi, who believed that the teachings were no longer Usui’s. Hayashi’s focus was very much on hands-on healing. Dr Hayashi would teach First Degree over a five-day structured course, with each day’s training taking 90 minutes, and students would receive his more complicated attunements on four occasions during this training, by way of echoing Usui’s weekly empowerment sessions. Dr Hayashi trained 17 Reiki Masters and produced a 40 page manual which contained the hand positions for different ailments. Since Dr Hayashi would not have been taught Reiju by Usui Sensei, it seems that attunements were developed by the Imperial Officers as a ‘constructed’ ritual that gave them the same sort of experience that they had when receiving empowerments from Usui Sensei. Certainly the ritual that was taught to Tatsumi by Dr Hayashi is not Usui’s Reiju, and neither is the ritual being used by Mrs Yamaguchi, another of Dr Hayashi’s Master students. Chujiro Hayashi died on May 10th 1940. Sadly, he took his own life; it seems that he was very concerned at the build up of nationalism in his country, and it was the threat of war that led to his death. 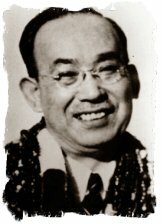 Dr Hayashi’s wife Chie continued as President of his school, teaching in the 1940s, but their children did not continue the clinic. Hawayo Takata was born in 1900 on the island of Kauai, Hawaii. She came to Dr Hayashi’s clinic suffering from a number of serious medical conditions that were resolved through Reiki, but she was originally intending to receive conventional Western medical treatments for her tumour, gallstones and appendicitis. The story goes, though, that on the operating table (just before the surgery was about to start) Mrs Takata heard a voice that said “The operation is not necessary”. She is said to have refused the operation, and asked her Doctor if he knew of any other way to restore her health. The doctor referred her to Dr. Hayashi and she began receiving a course of treatments. Mrs Takata was quite sceptical about Reiki. She felt so much heat from the practitioners’ hands that she was sure they were using some sort of electrical equipment – maybe little electric heaters secreted in the palms of their hands! She looked in the large sleeves of their Japanese kimonos, under the treatment table, but of course there was nothing there. Her scepticism turned into belief as her health problems resolved themselves, and she decided that she wanted to learn Reiki for herself. Dr Hayashi wanted to teach Reiki to another woman besides his wife (someone who would not have to be called up to fight in a war), and since Mrs. Takata was so persistent he decided to teach her to Master level, which happened in 1938. Dr Hayashi gave Mrs Takata permission to teach Reiki in the West, and she did so in the USA. She was the 13th and probably the last Reiki Master that Dr. Hayashi initiated, and between 1970 and her death in 1980 Mrs Takata taught 22 Reiki Masters. 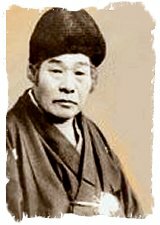 Until quite recently, all Reiki practitioners in the Western world derived their Reiki from this lady, and could trace their ‘lineage’ through her to Dr Hayashi and Mikao Usui. The original twenty-two teachers have passed on the Reiki tradition, and Reiki has spread throughout North and South America, Europe, New Zealand and Australia to many parts of the world. It is almost impossible to estimate the number of Reiki Masters and practitioners in the world, but it must run into tens of thousands, and maybe millions, respectively. But is cannot have been easy for Mrs Takata, teaching a Japanese healing technique in the United States, after the Second World War, with memories of Pearl Harbour still in everyone’s minds. The American population was not particularly well disposed towards anything connected with Japan. Also, while nowadays people are exposed continually to magazine articles about feng shui, tai chi and other energy cultivation techniques, ideas of traditional Chinese medicine, meridians, chi and the like, and alternative medicine in general, at that time in the United States these ideas must have seemed to have come from another planet. Mrs Takata was trying to transmit her whole culture, and a totally alien one as far as her students were concerned. For this reason, Hawayo Takata was obliged to modify, simplify and change the Reiki that she had been taught by Chujiro Hayashi, in order for it to be acceptable to the Westerners that she dealt with, and the Reiki that she had been taught by Dr Hayashi had already been modified by him after he had been taught by Mikao Usui. Not only did Mrs Takata modify the practices of Reiki, but she also felt obliged to put together a story about the history of Reiki to make it more acceptable to a hostile American public. Out went Mikao Usui, Tendai Buddhist, and in came Dr Mikao Usui, Christian theologian, who travelled the world on a great quest to discover a healing system that explained the healing miracles that Jesus performed. 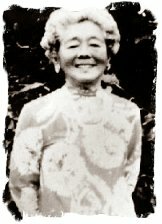 Mrs Takata’s upbringing in Hawaii was one where it was traditional to tell stories or parables to convey important principles or truths, and she applied this tradition to Reiki; perhaps she should have realised that such stories would have been taken to be historically accurate by her Western students. Stories about Usui being a Christian Doctor, going on a world-wide quest, and studying theology at various Universities along they way, are not true. Despite this, they are repeated in Reiki books, even ones that have been published recently. As well as putting together a Reiki ‘history’, Mrs Takata ended up being referred to as ‘Grand Master’ of Reiki, to make a distinction between herself and the Masters that she taught. This is an office, position or title that was not envisioned by Mikao Usui. Reiki is not based on the idea of gurus or great masters to whom one has to pay homage. Unfortunately, some people in the Reiki community are greatly wedded to the idea of ‘The Office of Grand Master’ and what I see as the narrow and dogmatic view of Reiki that is approved by the current incumbent, Mrs Takata’s grand-daughter, Phyllis Lei Furumoto. Now the story turns full circle, and Western style Reiki has returned to its country of birth. At one stage people believed that Reiki had died out in Japan, and that the only Reiki that remained in the world was the Western version. But Reiki Masters travelling in or living in Japan in the 1980s and 1990s discovered that there were Reiki practitioners there who were doing things that were very different from the Reiki that we had become used to in the West. It was also discovered that there was an association called the Usui Reiki Ryoho Gakkai (Usui’s Reiki Healing System Association) which to begin with seemed to have been established by Usui. Now we know that this is not the case. The Gakkai was set up as a sort of ‘memorial’ society by the three Naval Officers. Tatsumi described it as an ‘officer’s club’ and now it has almost the sort of place in Japanese society that Freemasons occupy in the West: most people have heard of the ‘Gakkai, but they are not quite sure what they do. It’s all a bit mysterious but you need to be a member if you are going to get on in business in politics. As well as the ‘Gakkai’, there are other Reiki practitioners in Japan whose Reiki to varying degrees follows some of Usui’s original form of Reiki. Now Japan is experiencing a big explosion of Reiki, but it is mostly Western-style Reiki.